This sterling silver custom necklace is a one-of-a-kind tribute to your pet. Whether your beloved pet is still by your side or only in your heart, this necklace is a beautiful reminder of your bond. 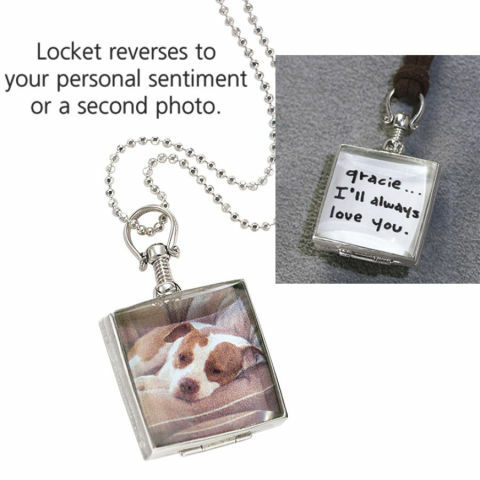 Handcrafted from sterling silver and beveled glass, the locket pendant displays a photo of your pet. The back of the pendant is hand-engraved with the unique phrase of your choosing. This beautiful jewelry will be treasured forever. For more information about the custom pet necklace, click here.